The InduProof® Med has been specially developed for use in medicine. Its surface has an antimicrobial coating that prevents germs and pathogens from spreading. It has a complete set of keys with numeric keypad and convinces with a pleasant tactile feel and the highest degree of protection. Intensive cleaning is possible without any problems. Due to the high-quality "Made in Germany" workmanship, it has a long service life. 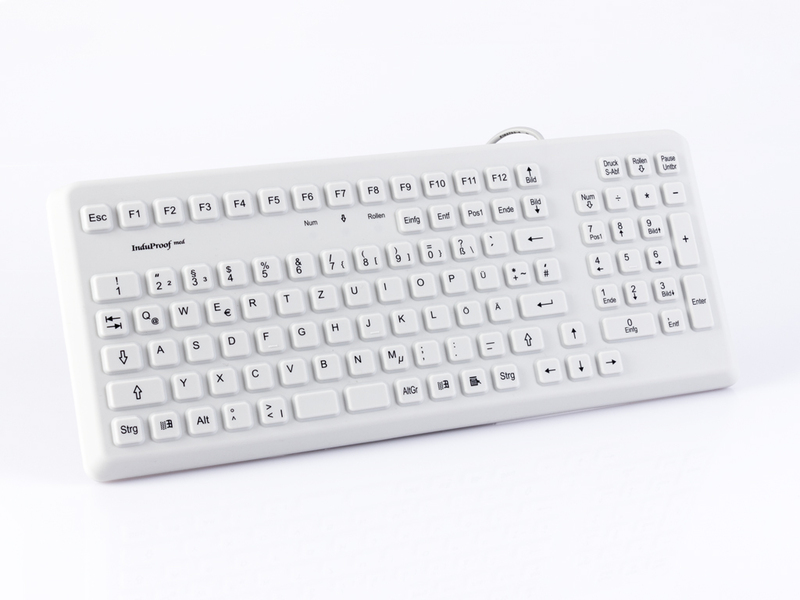 The high-quality silicone surface of this keyboard is completely closed and prevents dust and dirt from penetrating. 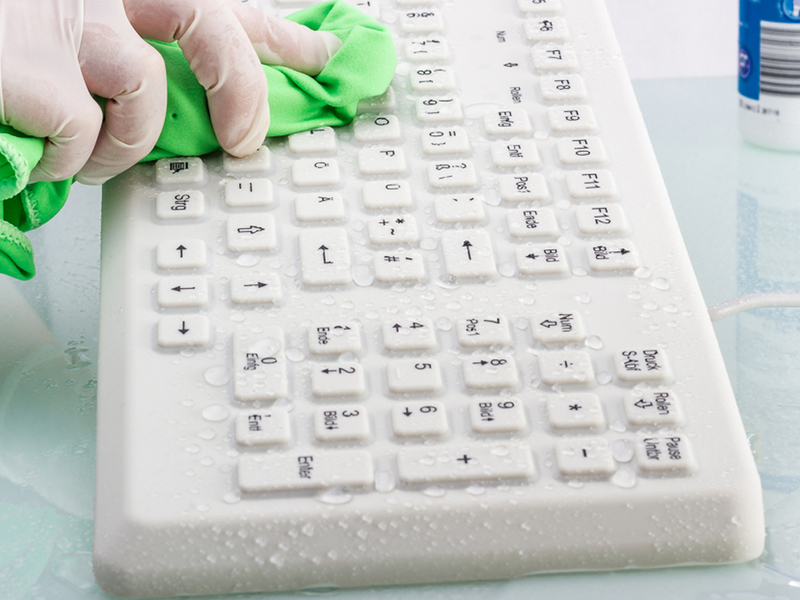 Completely waterproof and dustproof, this keyboard can be easily cleaned under running water or in a water bath. In addition, the surface of the keyboard has been treated with an antibacterial additive, which makes it difficult for germs to adhere. 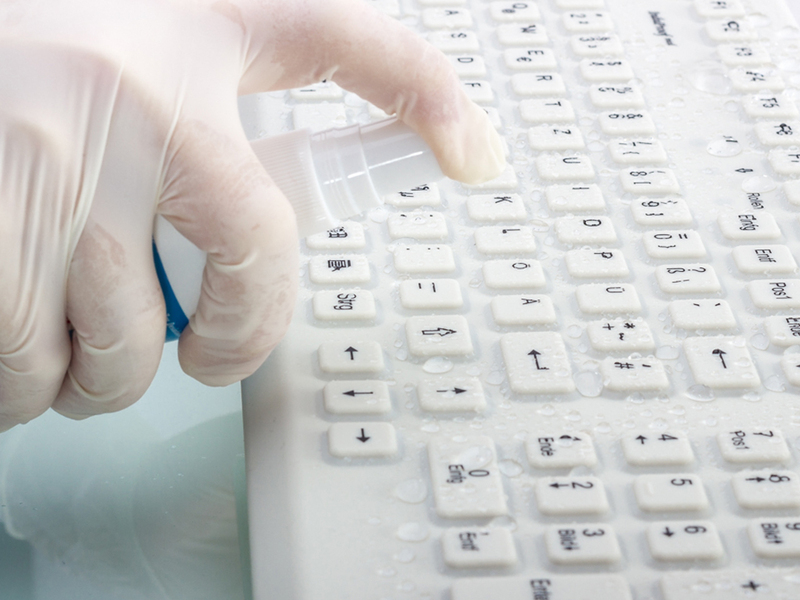 In this way, the keyboard actively helps to prevent the spread of pathogens. These hygienic properties help to comply with hygiene regulations. 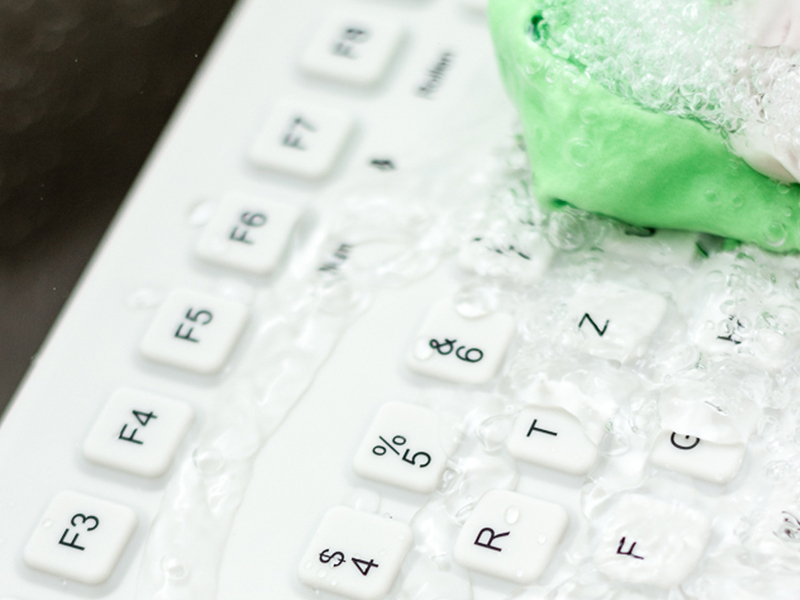 The InduProof® Med keyboard reliably supports hygiene management. As part of the InduProof® brand family, it is manufactured to the highest quality standards. Individualizations are also possible in small quantities. You would like to have a logo printed on the keyboard or a special layout is required? We make your keyboard an unmistakable unique piece. Simply talk to us about individualisation and we will be happy to help you. We grant a four-year guarantee on this product. Comfortable operation of the keys thanks to special switching technology. The keyboard is easy to operate even when wearing protective gloves. High durability thanks to the use of high-quality materials: The mechanical and chemical resistance of this keyboard is increased by the use of a special coating.